In any image, the photographer intends one point in that image to be the most important. Therefore, when you crop an image, you want to be sure you retain that point in the image. 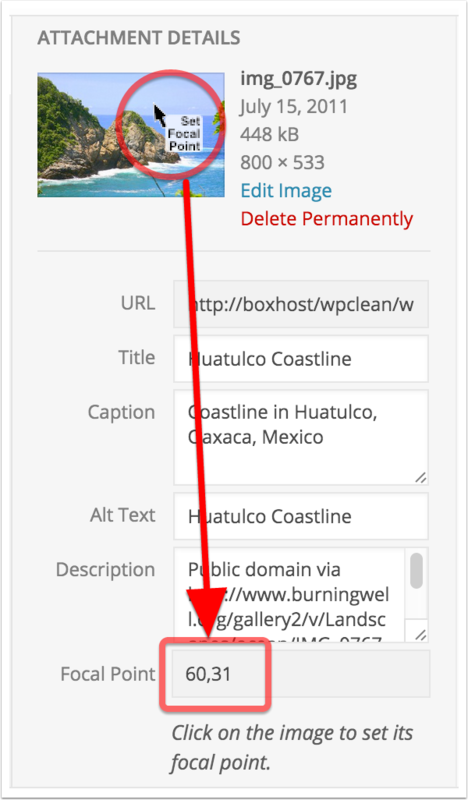 WordPress has a set of arbitrary focal points built-in, but these are often ineffective especially with images containing people or animals. Architect, however, lets you very easily set a focal point for each image which it will then base its cropping around. Because photographers will rarely centre that focal point, Architect also tries as much as possible to keep that focal point in the same relative positition in the cropped image as it was in the original. What if my image has multiple focal points? Yes, that often happens when there’s two or more people in an image, for example. In that case, you will need to set a point that is balanced between the main focal points. Have a look at the Focal Point demo page to see how that was handled in the image of the two girls whose faces are at different heights in the image. Notice the improvement in the square and landscape cropping. 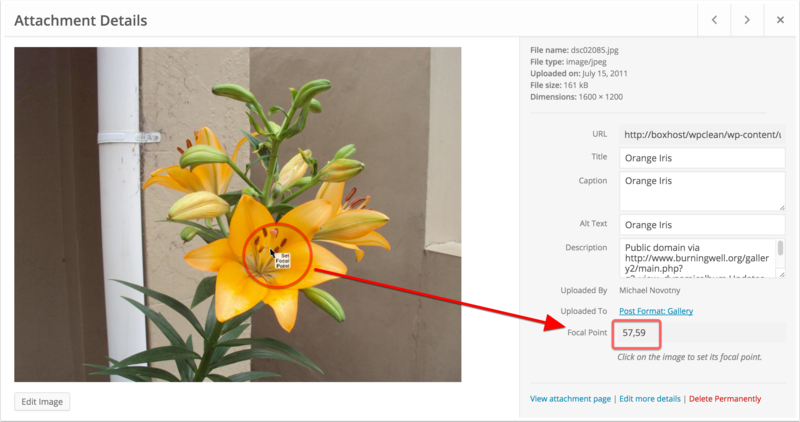 When you add an image using the post's media manager or Featured Image manager, the method is the same. Next click on its thumb preview in the Attachment Details in the spot you want to set the Focal Point. The Focal Point is automatically saved for the image. 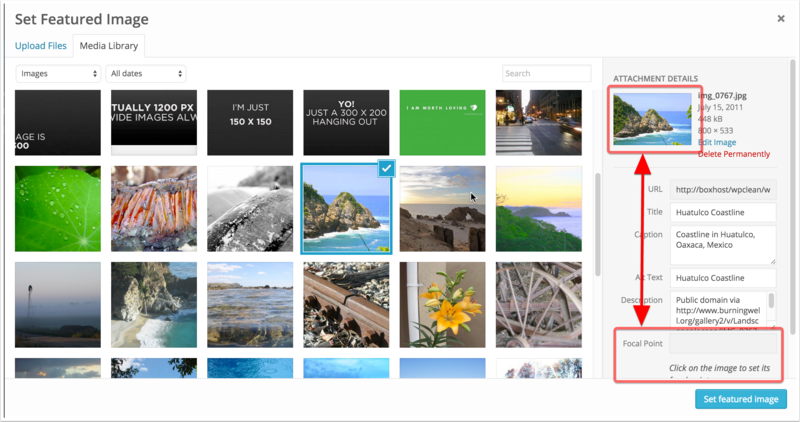 In the Media Library, it's pretty much the same, except instead of a thumb preview, you get a large scale preview. Click on the point in the image you'd like to set the Focal Point. This bit is really simple. 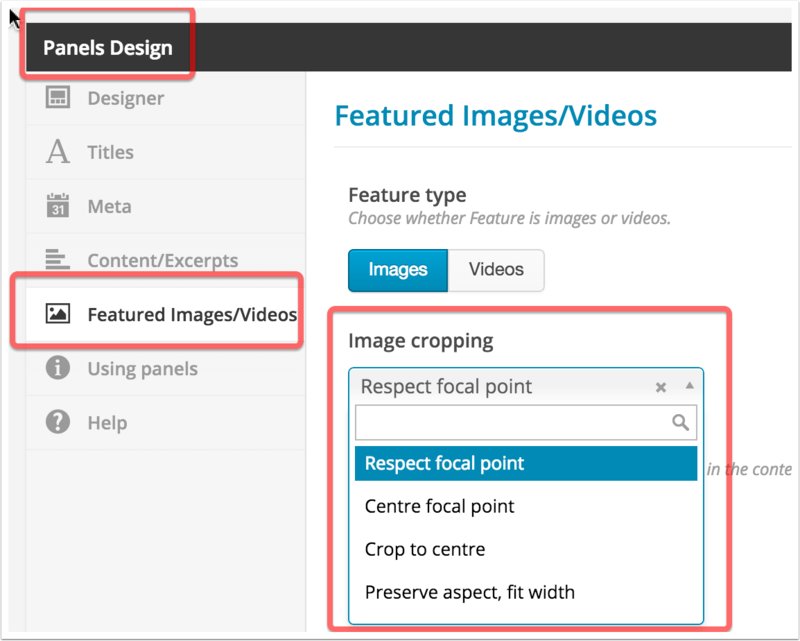 When designing a Panel, just ensure for the Image cropping setting of Featured images, either Respect focal point or Centre focal point is selected.